With Google dropping the price of theNexus 7after the Android event, showing off the new line of Nexus devices and new, more powerful Nexus 7 offerings, they will give early adopters a voucher to spend for their early purchase. 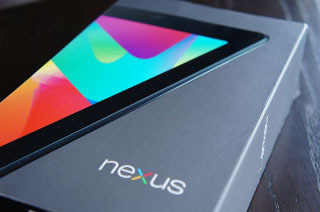 ASUS, the manufacturer of the Nexus 7, is also offering a voucher on their online store. The two companies will only allow you to have the voucher if you purchased the seven-inch budget tablet from a Google or ASUS store. This means that anyone who bought it from a third party seller cannot be funded a voucher. This is to show proof of purchase – we are unsure if other stores will allow some sort of voucher from their store. ASUS offer a thirty euro or £25 voucher for European buyers and Google are offering a $50 voucher. The voucher is for anyone who bought the Nexus 7 on or after October 14 and is valid for claim until November 29. We’ve seen bigger interest on the Google store for this voucher, as this can be redeemed onto the Google Play store and you can purchase media and apps. Once you have claimed the voucher, you have until December 31 to use it, or it will become invalid and you will lose your chance. This is only what ASUS are saying, we are unsure about Google’s exact validation rules, although we are sure they coincide with one another.